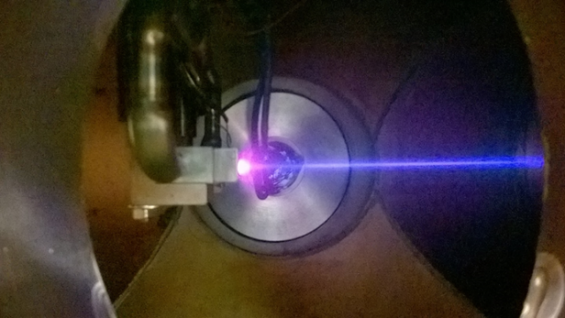 Injector of light ion beam for ion source characterization, test of diagnostics and beam delivery for experiments. 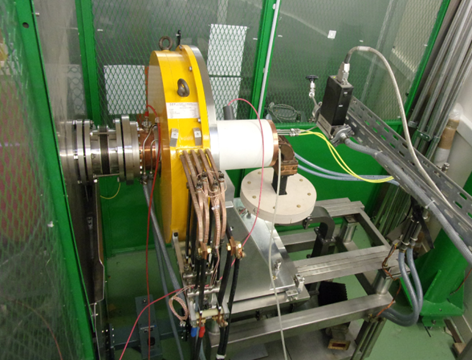 The test bench is equipped with an ECR ion source connected to an accelerating column mounted on a compact high voltage platform biased up to 100 kV. A dedicated extraction system allows the production of mono-charged light ion beams (typically Hydrogen ions with 80% H+, 15% H2+ and 5% H3+). The beam is then transported through a dual solenoid beam line in which several ports are available for beam diagnostics or experiment set-ups. 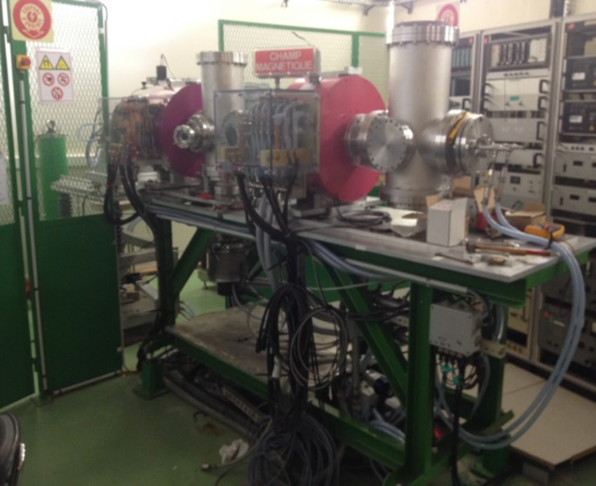 The configuration of the beam line could be easily modified for specific experiment. Four grid analyzer for space charge compensation measurement. Ionization Profile Monitor (IPM) test for IFMIF project. Control of beam size and divergence for beam power density adjustment with control of temperature.